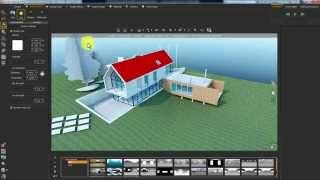 The plugin enables the user to transfer and link Autodesk® Revit® files directly from inside Revit to SimLab Composer. This plugin requires SimLab Composer to be installed to run correctly. SimLab Composer can be downloaded from the following link. SimLab Composer is a complete 3D visualization tool, that will allow you to Render, Texture bake, and share Revit models with your customers as 3D PDF, and WebGL. It also allows saving the results in different formats to be used in other applications and VR. It also gives you the ability to transfer your Revit scene to SimLab Composer at anytime during your Revit session. By installing it, you can utilize the full benefits of SimLab Composer.